A NNEST perspective on teacher development: a complicity of silence? Recently, there’s been quite a lot of debate about initial teacher training programmes such as CELTA or CertTESOL and how adequately they prepare people to enter ELT profession. For example, Hugh Dellar argues in this post that such courses are biased towards native speakers. The article sparked quite a bit of a debate, so I’d recommend reading the comments below it, as well as this critique by Anthony Gaughan. On the other hand, James Taylor takes a much more positive view of the CELTA in this article. 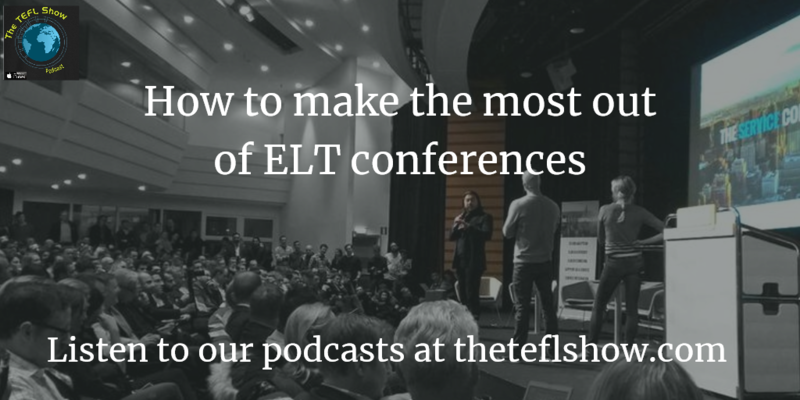 And if you feel more like listening rather than reading, then you can check out this podcast by The TEFL Show where Rob McCaul and I discuss the pros and cons of the CELTA. Now that we’re done and dusted with the positives, let’s look at some criticisms. I take a much more critical view of these courses for a number of reasons. I can’t discuss all of them in one post, so I decided to focus on one, the Non-Native English Speaking Teacher (NNEST) perspective, which is partly related to Hugh’s argument. I expand his argument to talk about teacher development in ELT more general, but all of the points I make also refer specifically to initial teacher training programmes. When I was originally asked to write this article for IATEFL Teacher Development Special Interest Group newsletter on Teacher Development (TD) for NNEST, I thought that the whole premise was somewhat divisive. I don’t really buy Medgyes’ (1992) argument that “NESTs and non-NESTs use English differently and, therefore, teach English differently” (p. 346). Treating the two groups as if they were separate entities can lead to creating even more stereotypes (read this article by Michael Griffin). After all, both NESTs and NNESTs need to undergo pedagogical training and to participate in TD programs if they are to be successful teachers, for “teachers are made rather than born” (Phillipson, 1992, p.14). However, the more I pondered the topic, the more I realised that there is indeed a NNEST perspective on TD (see Mahboob, 2010 for NNEST lens). While NNESTs have and still continue to make significant contributions to our profession, they have for decades been treated as second-class citizens. And despite the growing NNEST movement and support for it, there seems to remain a certain reluctance to embrace the idea of equality between NESTs and NNESTs (Holliday, 2005); a certain complicity of silence, if you will. Indeed, as far as TD is concerned, the issue of native speakerism in ELT barely ever receives any attention during CELTA, DELTA or in-house TD programs. So, this article will outline some of the ‘silenced’ issues and argue that they must feature more prominently in TD if our profession is to ever extricate itself from the unprofessional and damaging grip of native speakerism. For the purposes of brevity, the four main issues will be summarized here. I acknowledge the criticisms of NEST and NNEST labels, but for want of better terms use them here. Finally, this article should not be construed as a ‘rant’ against ELT, but rather as a suggestion for areas that I think should be discussed more openly and regularly during TD sessions. For “racism, as well as native speakerism, only survive if they are constantly reinforced through daily discourses that make them seem natural” (Ruecker, 2011, p.407). CELTA’s promise of “open[ing] the door to exciting teaching opportunities all over the world” should be taken with a pinch of salt, as research (e.g. Selvi, 2010; Ruecker & Ives, 2014; Mahboob & Golden, 2013) shows that approximately 75% of all job ads published online are for NESTs only. Not only does this mean that a NNEST with CPE grade A, CELTA, DELTA and a BA in English Studies will not even be considered, but also that any application from a NEST from the ‘Outer Circle’ (e.g. Zimbabwe, India) may well be rejected too. In fact, in certain countries (e.g. South Korea), NES status is further ‘refined’ to being white and Western-looking. This has its obvious negative effect on the importance of professionalism in ELT. However, what I find more damaging is that not discussing this issue during TD programs creates a vicious circle. NNESTs are not given support or tools to fight such prejudice. Conversely, NESTs find this advantageous, and thus have little incentive to openly question such policies. One ingenious initiative to address this was started by @StudyCELTA. They inform their candidates about discriminatory job ads and direct them to @TEFLwork job board which only accepts equal opportunities ads. I only came across these two terms (for a detailed discussion see Jenkins, 2007) six years into my teaching career, having by that time done both CELTA and DELTA. I can’t remember them having been discussed in any of the two courses, nor any in-house TD workshops I’d attended. The fact that most interactions in English nowadays take place in situations where no Native English Speaker (NES) is present is crucial, as it allows us to question the idea that students or teachers should aspire to a rather idealised NES model from the ‘Inner Circle’ (e.g. the UK, the US). It can be quite liberating for those NNESTs who have already developed the “impostor syndrome” (Bernat, 2008), simultaneously aspiring to comply with NES norms while being aware of the near impossibility of the task. For a NEST it is also vital to become aware of the fact that the English they speak is just one of a multitude of Englishes, and thus what is deemed correct or an error becomes much less clear cut. If we are to adequately prepare our students for interacting in English outside the class, we need to acknowledge and embrace the fact that “the standard English is no longer the preserve of a group of people living in an off-shore European island […]. It is an international language” (Widdowson, 1994, p.8). There seems to be a silent agreement within ELT to view teaching methods as neutral, apolitical, universally applicable and having sound theoretical or empirical foundations. Yet, these assumptions have been questioned on numerous occasions (see Pennycook, 1994 for a comprehensive discussion). In fact, if one examines the countless ELT methods that have over the years “roll[ed] out of Western universities and through Western publishing houses” (Kumaravadivelu, 2006, p. 20) and have been propagated with “an evangelical zeal” (Kachru, 1990, p.15), it is difficult not to notice the economic, political and cultural interests of the Centre lurking in the background (Pennycook, 1994, p.152). The “active, collaborative, and self-directed ‘learner-centred’ teaching–learning techniques” (Holliday, 2005, p.1) have been promoted as clearly superior to other methods, despite an acute lack of empirical evidence, and a disregard for local educational traditions. While TD courses certainly teach you how to best apply these ‘superior’ methods in class, they show little attempt at cultivating a more critical approach to ELT methodology. Thus, in their vast majority, courses such as CELTA produce teachers who are unaware of the underlying Anglocentricity of most ELT methodology, and who will “work within the confines of the institutions of the existing hegemonic order” (Kumaravdivelu, 2014, p.12) helping to perpetuate the privileged position of NS. On the other hand, what these courses should aim to do if we are to move beyond the pervasive ideology of native speakerism (see Holliday, 2006 for a brief discussion), which still imbues our profession, is to cultivate active and critical members of ELT profession. We’re constantly told by recruiters (e.g. Edge, 2011; Mahboob et al. 2004) that it’s all due to market demand. Students want NESTs, so schools can’t hire NNESTs, unless they pretend to be NESTs – as some colleagues have had to do. However, as Cook (2000) put it, “Nowhere is there an overwhelming preference for NS teachers. Being an NS is only one among many factors that influence students’ views of teaching” (p. 331). The majority of students want good teachers. It seems then that there is a profound disjunction between what many ELT professionals believe students want (i.e. a NEST at all costs, regardless of everything else) and what the majority of students actually want. There is also a belief that as far as the demand for NESTs is concerned the client is always right. On the other hand, we are prepared to question countless other misconceptions about learning and teaching languages that our students might have. This not only further undermines NNESTs’ confidence in their own abilities, but also buttresses the dominance of NESTs in ELT. Exploring this during TD is crucial as it can help us move the focus away from L1 as the most important and sought-after ELT ‘qualification’ to a discussion “about critical competencies of effective teachers and effective teaching regardless of that teacher’s background”(Farrell, 2015, p.3). Finally, it allows for an exploration of the qualities that students really value in English teachers, and of how these can be fostered in teachers. I started this article with the premise that ELT is still imbued with native speakerism; that is the belief in inherent superiority of NESTs. While there are various other reasons why, despite over 20 years of NNEST scholarships and advocacy, native speakerism is “alive and kicking” (Phillipson, 2012). A very important factor seems to be that, as far as TD is concerned, there is a complicity of silence, a certain unwillingness to discuss and question it. Looking back at my career, I am convinced that if the four issues discussed here had been put on the table much earlier on, before I found out the hard way what effects native speakerism has on job prospects, for example, I would have been much better prepared to question the assumptions behind it and to defend my own rights. I also think that many more NESTs would also speak out against native speakerism, defending not only their NNEST colleagues, but also the value of their own professionalism, experience and qualifications. 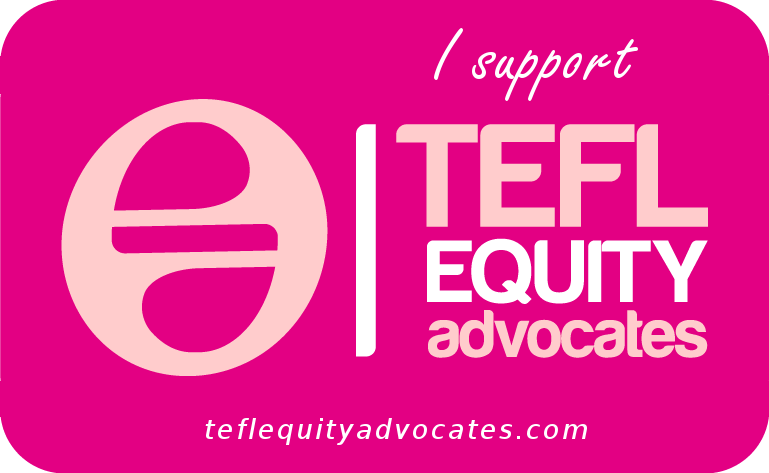 PS: If you are concerned about professional equality between native and non-native speakers in ELT, check out and support TEFL Equity Advocates work here. Edge, J. (2011) The Reflexive Teacher Educator in TESOL. New York: Routledge. Holliday, A. (ed.) (2005) The Struggle to Teach English as an International Language. Oxford: Oxford University Press. Kumaravadivelu, B. (2006). Dangerous liaison: Globalization, empire and TESOL. In J. Edge (Ed. ), (Re)locating TESOL in an age of empire (pp. 1–26). New York, NY: Palgrave Macmillan. Mahboob, A. (Ed.). (2010) The NNEST Lens. Non Native English Speakers in TESOL. Newcastle upon Tyne: Cambridge Scholars Publishing. Mahboob, A., Uhrig, K., Newman, K., & Hartford, B. (2004). Children of a lesser English: Nonnative English speakers as ESL teachers in English language programs in the United States. In L. D. Kamhi-Stein (Ed. ), Learning and teaching from experience: Perspectives on nonnative English-speaking professionals (pp. 100–120). Ann Arbor: University of Michigan Press. Phillipson, R. (1992). Linguistic imperialism. Oxford University Press.